On the 11th of December we've got a gorgeous hair oil from Italian brand Davines. That's right, a potion. Because I'm exceptionally immature, if a beauty product is labelled as a potion, I'm pretty much instantly sold. 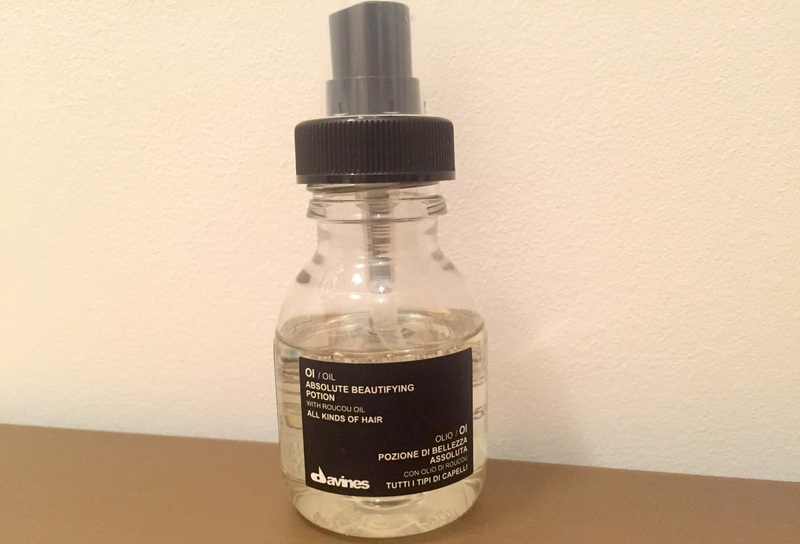 Davines Ol Absolute Beautifying Potion is designed for 'all kinds of hair' (their words, not mine) and is essentially a fantastically scented hair oil with added silicones. The calendar contains a 30ml travel size of the potion that features a Roucou Oil (rich in beta-carotene) base and can be used on both damp or dry hair. This will come in very handy for me because I like my hair to smell nice (and this stuff smells amazing) and I often go without conditioner, so a couple of little pumps of this through my lengths and ends will suffice I think. The Absolute Beautifying Potion is part of Davines' Ol range which also includes a Shampoo, Conditioner, All in One Milk, Body Wash and Hand Balm. Frustratingly I can't actually find this on the Liberty Website but I have found the full sized 135ml version on various sites for around £30 and the travel sized 50ml bottle for £18.15 from Fruugo.